This presentation will be given by two clinicians who have practiced together for the past 33 years. They will present the developments in dentistry that have changed their treatment planning strategies and outline the surgical execution of a variety of procedures. They have documented what works predictably, what works occasionally, and what can complicate your life. 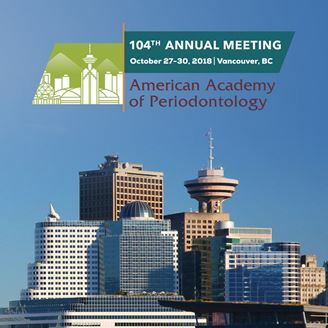 They will address the current priorities patients have for seeking treatment and the transformation in the character of periodontal disease that has occurred in the past twenty years. They will discuss how these changes have affected what we are requested to treat as periodontists today and into the future. Special emphasis will be directed to simplified regenerative techniques, immediate implant placement, and the elderly population who already have some implants and whose dentitions have been further compromised due to advancing age or disease related factors. Long-term statistics of their implant experience, bone regeneration, and soft tissue therapy will be illustrated. • Describe the ingredients for predictable bone regeneration aimed at long-term results. • Recognize different types of recession defects and learn to utilize a variety of techniques to achieve the optimal result in different locations. • Identify the elements necessary for desirable esthetics around implants.